Are you ready to find the best possible Flagstone Sealant for your needs, but you still haven’t located anyone who can help you? If you’re ready to figure out how to handle your necessities but you’re unsure of how it’s going to be taken care of, you can count on our team to help. With the TSS PRO Sealant on your side, you’ll never have to wonder about your flagstone’s sealing condition ever again. Regardless of where you live, flagstone is probably a big part of your residential and commercial areas. Are you someone who’s a resident of Texa and you’re not sure how you’re going to be able to replace and seal your backyard patio? Maybe you’re currently opening up your brand new small business and you’d like to implement a lot of flagstone and sandstone into your setups. While these are great intentions, you’re going to need to have a lot of quality sealants on ours die. thi s what’s going to help your stones look great for years to come instead of withering away and weathering out prematurely. If you’re ready to find new methods for sealing your flagstone at a high level, we’re here to help you. Flagstone is something that you can really enjoy and maximize if you’re able to keep it in great condition. However, there’s a lot that goes into this, and you’re going to have to pay attention if you’re wanting to use your stone right. Are you trying to make sure you avoid water stains and etching? This is unfortunately a very porous stone, even though it is beautiful and very modern. However, you’re going to need to pay attention to its condition at all times if you want to keep it looking good. Don’t put yourself in a position where you have to pay for an early replacement. People don’t always realize just how truly powerful Flagstone Sealant can be. If you’re someone who’s trying to make sure you don’t have to replace your entire pool deck after only a few years, it’s time for you to invest in ealing your stones. This is something that can really help you understand how to keep your stones in much better condition. If you’re’ someone who’s interested in preserving and maximizing the lifespan of whatever stone you’re using, we can help you. 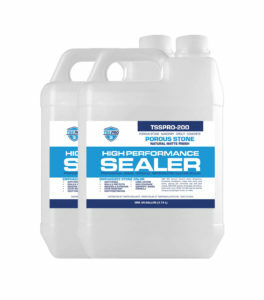 The TSS PRO Sealant is a great resource to utilize when you’re trying to keep[hold of your sandstone. You may be dealing with a commercial surface that is falling apart. Perhaps your residential walkway is showing a lot of war and you’re beginning to worry about your home’s overall aesthetic. When you’re ready to advance past these conundrums and move onto new endeavors, count on our professionals to help you. The TSS PRO Sealant is something that will most definitely help you figure out how to make the most out of your flagstone’s presentation. Our team believes in helping people find all-natural and organic methods for making sure they’re able to seal their stones. When you’re unable to make sure you have access to the best sealants in America, you may be wondering what to do next. Ensure you won’t have to put up with too many situations akin to this by calling in our team. Our sealants are always around to assist you, and you’ll be able to count on our products when your stone gets rough. Regardless of where you live, you’re going to have to be careful for water stains. This is perhaps flagstone’s greatest threat, and it can definitely devastate your setup if you’re not careful. Have you left some wet leaves on your surfaces for a long time and now you’re dealing with the consequences? Perhaps you’re trying to io find a way to maximize the setup you’ve been given, and now your backyard pool deck is in need of a sealing. When you’re prepared to restore your stones, we can be a part of the solution. The TSS PRO Sealant is a great way to make sure you have a quality, natural, and all-organic sealant that meets and exceeds your expectations. You’re probably in need of a sealant that’s going to provide to with the results you want without absolutely decimating your bank account. Are you looking for reliable sealants that don’t cost too to much? When this is what you’re looking for, know that our professionals will be there for you. With our competitively and aggressively priced rates around, you’ll have an easy way to always get the best rates for your sealants. Keep your flagstone safe by using our products. We have a list of proprietary sealants that will help you keep your flagstone in great condition. As a stone sealing veteran company, we’re ready to help the American people seal their stones in the best ways. Utilize our natural sealant to the fullest and take your sealing solutions to the next level. Perhaps the best part of all of this is the fact that you also won’t have to cut corners on the quality. Even though you’re saving money by utilizing the TSS PRO Sealant, you’ll always have a way to ensure you seem premium results. Our products help you add on years to your current flagstone lifespan, and you’ll be able to prevent future repairs as well. Trying to stop your flagstone from developing algae and mold? Maybe you’re unsure of how your molding problems are going to go away. Whatever the case may be, count on the TSS PRO Sealant to keep your sealing needs met. 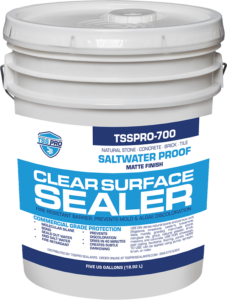 Make sure you’re able to possess the quality Flagstone Sealant you deserve by using the TSS PRO Sealant when everything is on the line. We understand that you may not know how you’re’ going to get the most out of your sealants, and that’s totally fine. With our team around, you won’t have to worry about your sealing struggles anymore. Check out our long list of inventory and discover the sealants we have ready for purchase. We’re ready to help you understand your stones in a better way while also getting the best deals this industry has to offer.